1 As a Tutor, how can I benefit from using 11plus.co.uk? 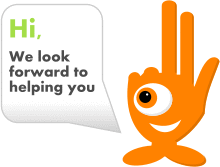 As a Tutor, how can I benefit from using 11plus.co.uk? 11plus.co.uk is an online community designed to help you prepare your Students so that they have the best possible chance of gaining a place at their school of choice. There are lots of great resources available these days to help you with entrance test preparation. Our resource directory lists them along with ratings and reviews to help you sort the good from the bad. See what other people are recommending and feel free to add your own opinions and recommendations. If you have a question about anything related to entrance tests then simply post your question on our discussions page. It’s very likely that another Tutor or Parent can answer your question or at least guide you to where to find the answer. How many tests are there on this system? I can only see 60 tests. Please advise. There are currently 60 premium tests and over 5000 individual practice questions in Question Shuffle. We’d like to get you up and running. What do you mean by ‘enable’? This seems strange. I did notice that you had added 3 students. Are you sure you assigned the tests to the correct student? All the tests you have assigned do appear in the student accounts when I try. Perhaps if you could give us more specific details we could help you out better. You can either reply here or via our contact form. The contact form might be better because it’s private. Then we can talk about specific students if need be. How does a parent add a Tutor so that they can view the students mock test? Log in to the parent account. Then go to MY 11PLUS > MY STUDENTS. Click EDIT for the student you wish to edit. Scroll down and you will see a field called ‘viewers’. Add the email address that your tutor used when they signed up to 11plus.co.uk (tell them to sign up if they haven’t already). Next time they log in using that email address they will have viewer access to your student.